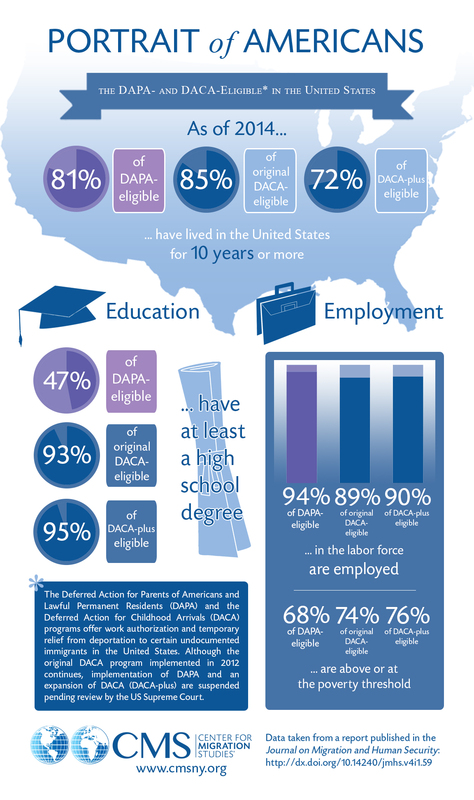 New York, NY – A new paper released today by the Center for Migration Studies of New York (CMS) offers a statistical portrait of the potential beneficiaries of the Deferred Action for Parents of Americans and Lawful Permanent Residents (DAPA) program, the original Deferred Action for Childhood Arrivals (DACA) program implemented in 2012 (“original DACA”), and the expanded DACA program announced in 2014 (“DACA-plus”). 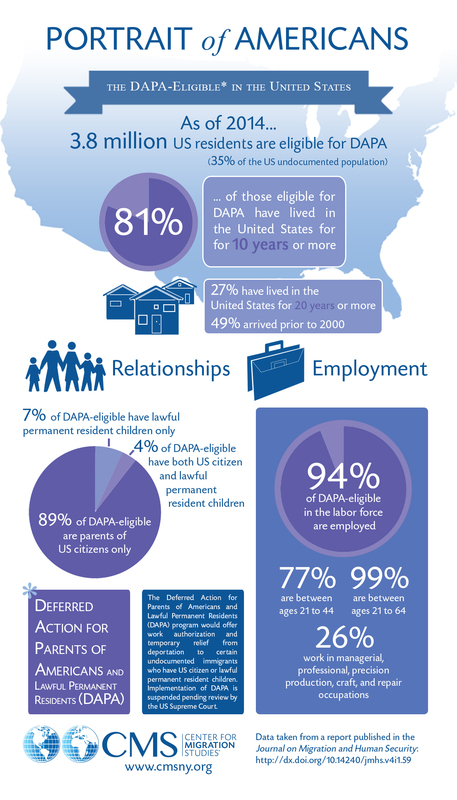 The report illustrates the degree to which these populations have become embedded in US society, finding that the great majority of DAPA and DACA recipients enjoy strong family ties, long tenure, and high employment rates in the United States. CMS derived its estimates on the DAPA- and DACA-eligible from statistics on the foreign-born population collected in the Census Bureau’s American Community Survey (ACS). It first derived detailed estimates for all undocumented residents, and then used the characteristics of this population (e.g., year of entry, age at entry, etc.) 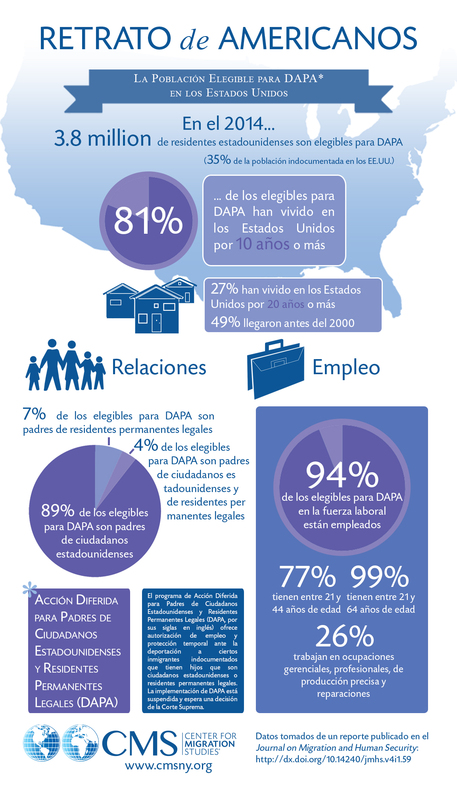 to tabulate the numbers who would be eligible for DAPA and DACA in 2014, which is the most recent year available. To download the report, “Potential Beneficiaries of the Obama Administration’s Executive Action Programs Deeply Embedded in US Society,” visit https://doi.org/10.1177/233150241600400102. 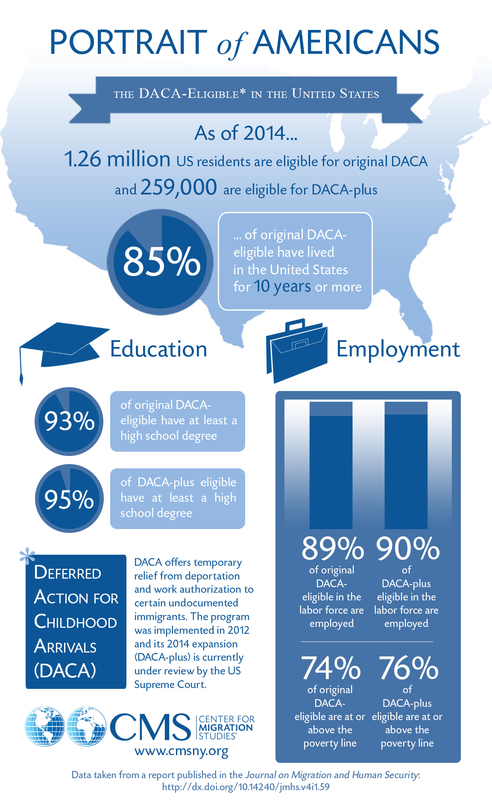 For an earlier CMS analysis of the DACA- and DAPA-eligible in 2013, visit https://doi.org/10.1177/233150241500300104.